New Zealand begin their title defence against Tonga in Group B opening match at the OFC Women’s Nations Cup tomorrow at Stade Numa Daly in Nouméa, New Caledonia. The Football Ferns are overwhelming favourites heading into the encounter having won the past three edition of the premier regional women’s competition. They will be aiming for a fourth straight title in Oceania and a positive start against Tonga is what head coach Tom Sermanni is anticipating, despite taking over the job just recently. “I am really excited and really looking forward to it, obviously our preparation time has been limited,” the former Matildas coach said. “But obviously I have known all the senior players, I had a close connection with New Zealand especially when I had the Australian job so I’m really looking forward to the games beginning. Sermanni said he is coming into an unknown territory, with the Scotsman possessing limited knowledge of New Zealand’s Pacific Island opponents. “Well for me it’s a little bit of the unknown because it’s been a long time since I have been coach in the Oceania region but the good thing is the players that we have. “I know they are getting used to playing against Oceania teams so they’ll be ready, prepared for whatever happens, whatever the opposition side decided to do or how they decided to play. “I’m just looking forward to the tournament, I had a look at the ground today (yesterday) it looks fantastic and it’s always exciting, world cup qualifiers are great and I’m looking forward to the competition”, he added. His opposite number, Tonga coach Christian Koaneti said his team are exciting ahead of a tough clash against the Oceania reigning champions. “I think it’s a bit of both excitement and intimidation given that New Zealand is in our pool and most of our girls are new to present our country”, he said. “I’m never being so proud of the girls stepped up to the task, it’s quite hard but it’s a challenge that we us a group are willing to take on. “New Zealand is always a tough nut to crack but as a have said this is a challenge we as a group are willing to take. “So I’m pretty confident that the girls are ready to deliver what we have been preparing for the past two and half months. In the other Group B match preliminary qualifiers Fiji will open their nation’s cup campaign against a determined Cook Islands side. Fiji coach Marika Rodu anticipates a tough clash in the opening match against Cook Islands when the two teams meet in the opening group match. “Cook Islands is in front of us and they also want to win but we have to manage our 90 minutes of play well,” said Rodu. The Fijian said the first match was always going to be tough but they were planning to settle early in the game. He added the best thing is to come out with three points in the first match. “The best thing is to register the three points in the first match with good commanding results but we cannot afford to drop our guts in the process,” said Rodu. Cook Islands coach Tuka Tisam said he is banking on a mixture of both experience and youth in his team. “I’ve got a batch of good girls, young and old so a better mixture in the team, preparation has been good,” he said. “They (Fiji) will be a really good side and we’re looking forward for that match, very important to try and get the three points because it’s important for us to get the win if we can. Tisam added that Cook Islands are looking forward to competing in a tough group which also features New Zealand and Tonga. Head-to-Head: New Zealand have won both previous encounter against Tonga, scoring 32 goals in the process and conceding just one. Head-to-Head: Fiji hold the edge over Cook Islands having won two Pacific Games matches and drawn one. 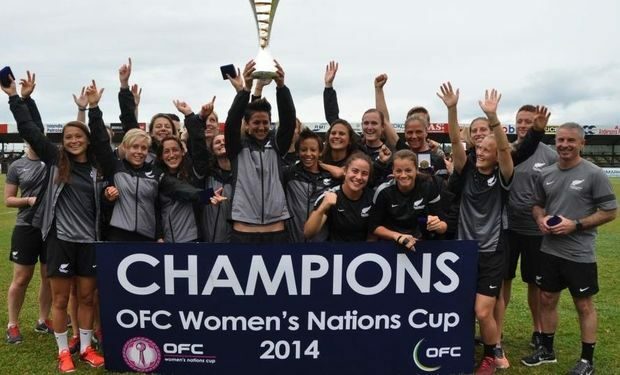 Their two encounters in previous OFC Women’s Nations Cups resulted in a draw and a third win for Fiji.